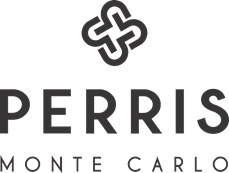 Perris Monte Carlo is thrilled to announce the launch of the Italian Citrus Collection. After travelling the world hunting for the finest raw materials, the Creative Director, Gian Luca Perris found inspiration in the enamoring countrysides of Southern Italy. The collection will be available in select retailers worldwide and available at Neiman Marcus and Bergdorf Goodman in August 2018. The assortment of three – Cedro di Diamante, Mandarino di Sicilia, and Bergamotto di Calabria will highlight the array of citrus fruits found in Capua – renown as the top creators of citrus essential oils since 1880. Gian Luca was enthused with their blending of innovative and traditional extraction methods. The sensory ode will pay tribute and spotlight the citrus essence by capturing the warmth of the sun rays and enhancing natural attributes of the heart while accentuating the natural characteristics of the citrus with hints of cedar, mandarin, and bergamot.